Good Store, (Formerly) Awful Logo, Part II! I think we're all glad they got rid of that logo from the facade. And yes, that does actually say FABMBOY! The Food Basics replaced an A&P built in the 1970s. 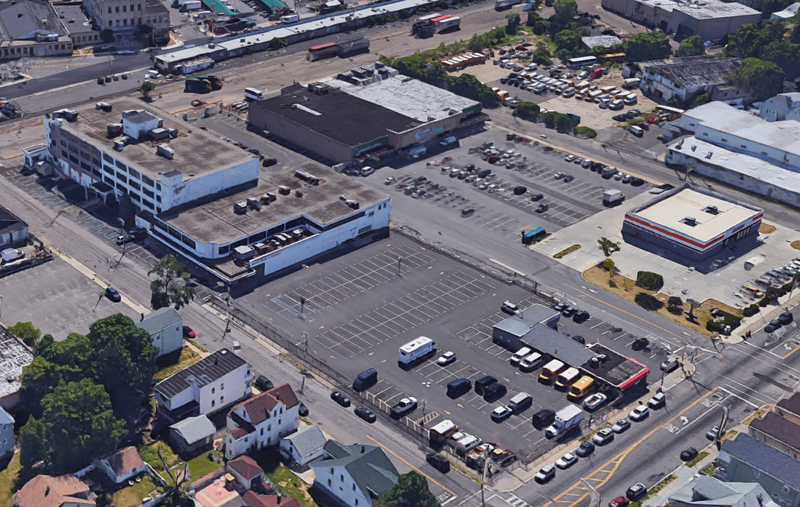 The white office building seen in the very background of the first photo was A&P's corporate offices at the time, and there was originally a store facing Delaware Ave (the street in the foreground to the left in the below image). 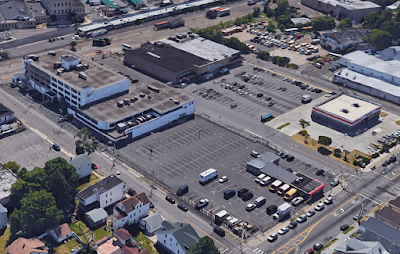 This view from Google Maps shows the current Farmboy next to the old office building, now home to Paterson Public Schools' offices. I know I've seen a picture of the old A&P in the office building somewhere online, but I can't seem to find it right now. Please let me know if you know what I'm talking about! 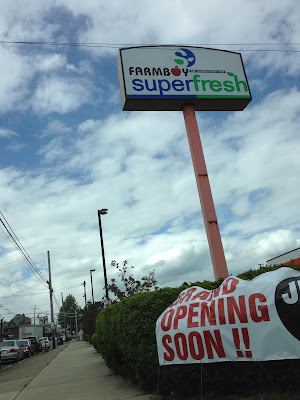 Fun fact - this was the most recent new-build supermarket in Paterson, until the brand-new Super Supermarket (it looks really nice) opened in 2012! 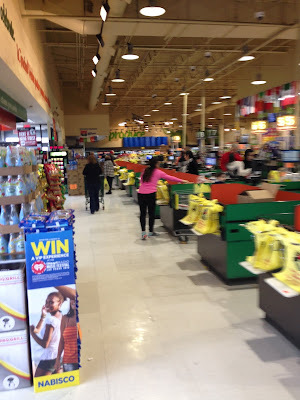 When I visited Farmboy, it was still under construction. Food Basics had no service departments, and Farmboy was reopening them. They were pretty close to being ready, but the decor was not done yet. I've included comparison shots with some of my pictures from Key Food's Facebook page. (I took all of the photos except for those, which I've marked.) Let's head in! 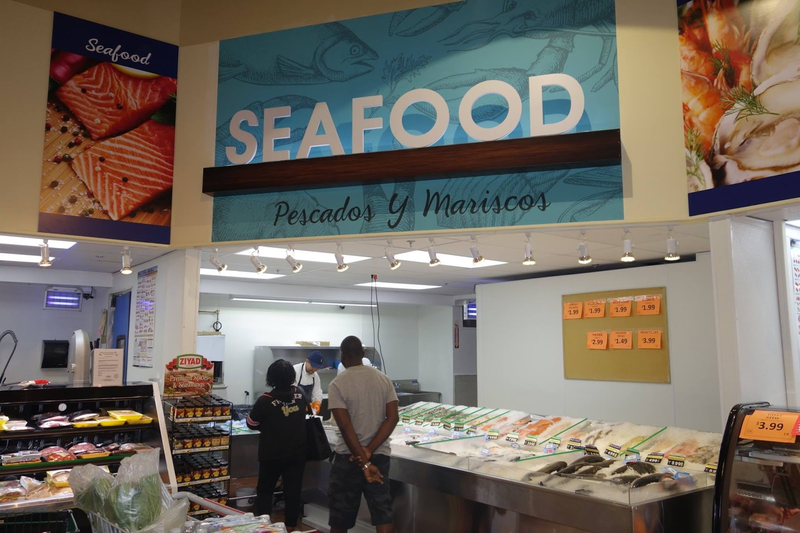 We're welcomed in both English and Spanish, reflecting the large Hispanic population of the surrounding area. This sign is left over from Food Basics. 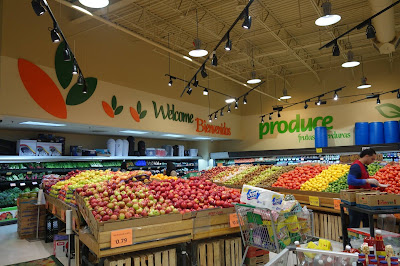 You enter into a large, inviting, and well-stocked produce department. It's probably the store's best feature. You can see where Farmboy was in the process of redoing the service departments along the side and back walls. 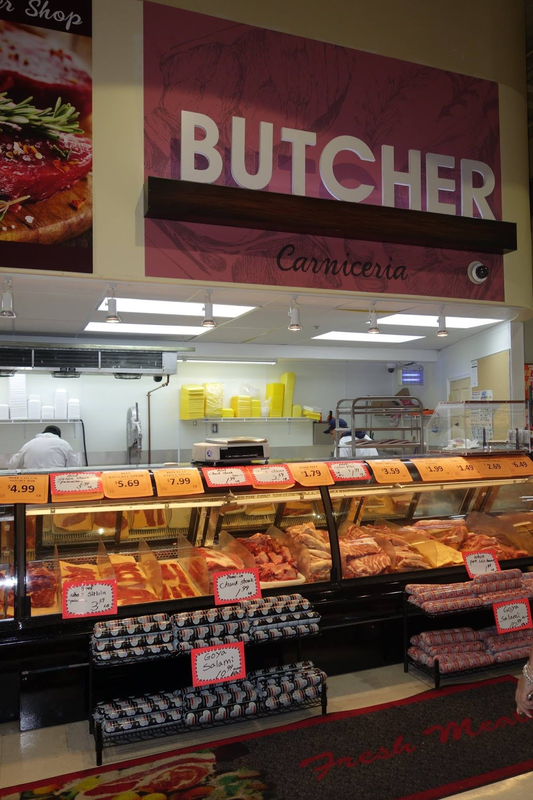 Packaged meat and cold cuts are along the aisle facing into the produce department. 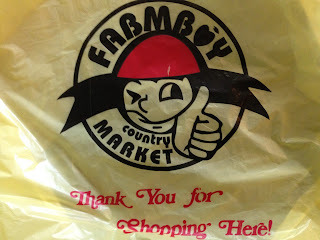 The flags along the right side are a nice touch that Farmboy added, emphasizing this store's diversity. Looking from the produce department along the front-end towards the far end. You can see the entrance to the right above. Customer service is past the checkouts along the front wall. 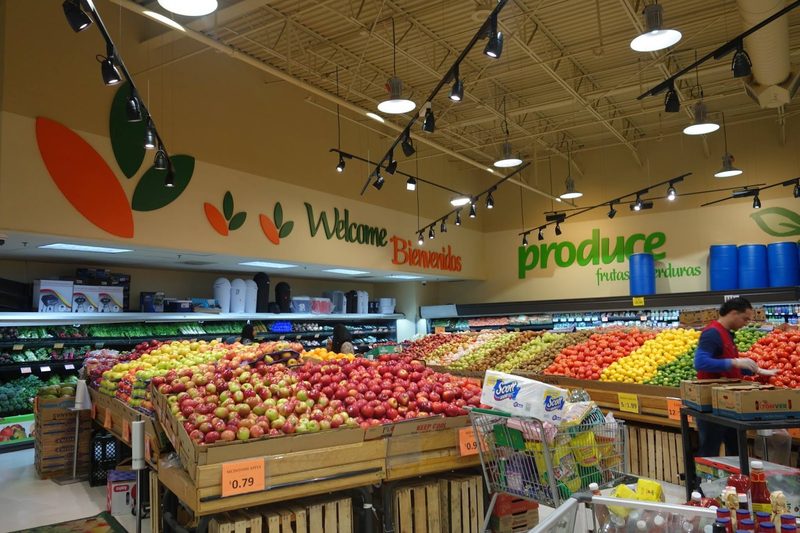 An overview of the produce department. We can see in the below "after" picture from Key Food that not much as been changed in the produce department. 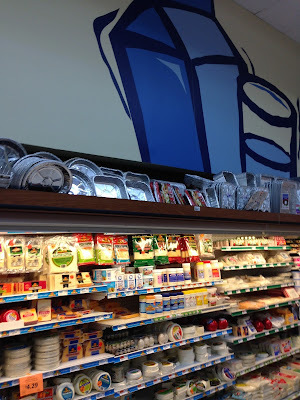 All the decor seen on the walls here is left from Food Basics. Heading towards the back of the store, we can see the area where the service departments were being installed. It struck me as a little strange that a store like this would have such a prominent display of local organic honey! Maybe they were just filling space until the service departments could open. 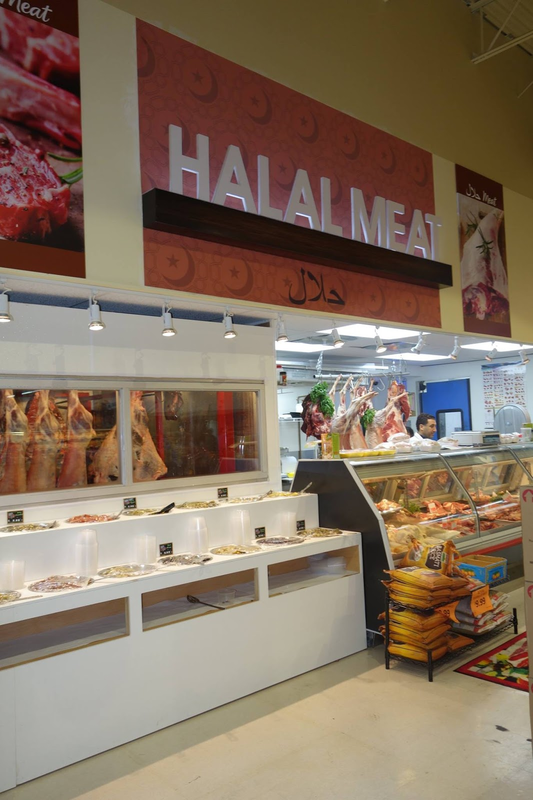 Moving towards the back of the store, we see the new Halal meat counter and the seafood counter in the back corner. The area in front of the service counters is filled with some random shelving, which I wish they could have replaced with something better. Looking towards the front of the store from the back. 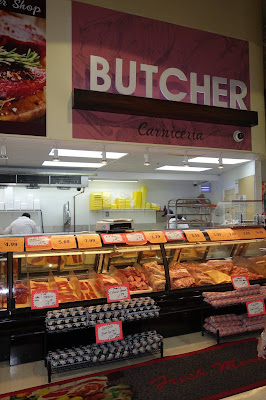 The cold cuts and packaged meat section along the grocery aisles. You can kind of see here the lighting over the grocery aisles, which is all brand-new LED. I think Farmboy also painted the drop ceiling. The first aisle was blocked off when I visited, as the liquor section had not opened yet. No liquor, but plenty of Country Club soda! Looking along the back aisle towards the area that Farmboy has built out for the service counters. Dairy runs along the back wall. The international flags continue along the front of all of the grocery aisles, where the open ceiling meets the drop ceiling. There were certainly some different selections here! 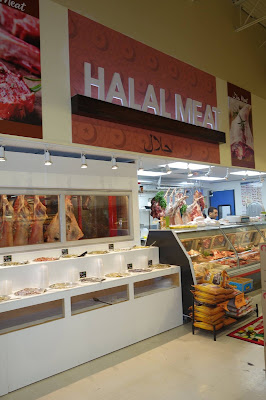 The area is both heavily Hispanic and heavily Middle Eastern, and I think Farmboy does a good job of catering to both. Willie Park (second from left), the owner, is Korean! Hmm. Looks like they need some light help here. This decor is all Food Basics decor. 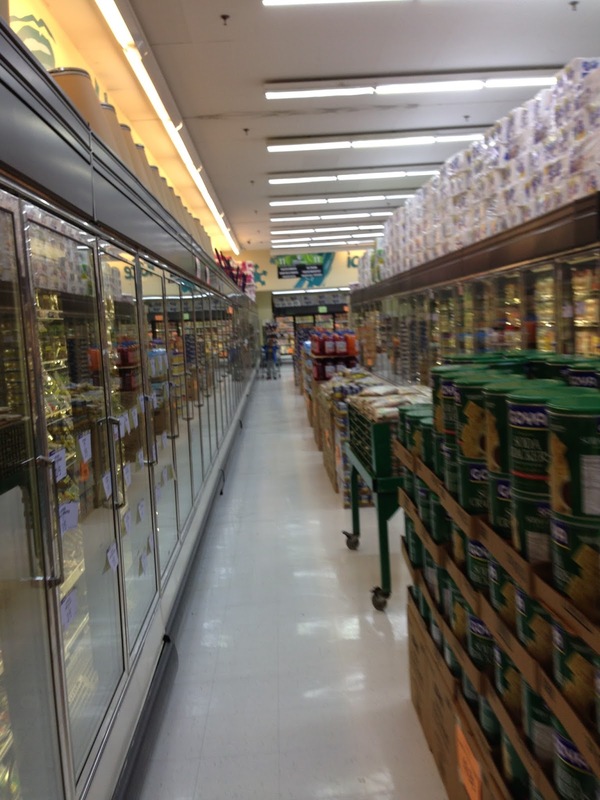 Clean and well-stocked aisles! I can't tell if this shelving is new (I thought Food Basics used green shelving), but it looks good. If this store ever gets busy, though, those displays will make for rough navigation of the aisles! An overall view of the dairy department along the back wall. A view down another aisle. More dairy. 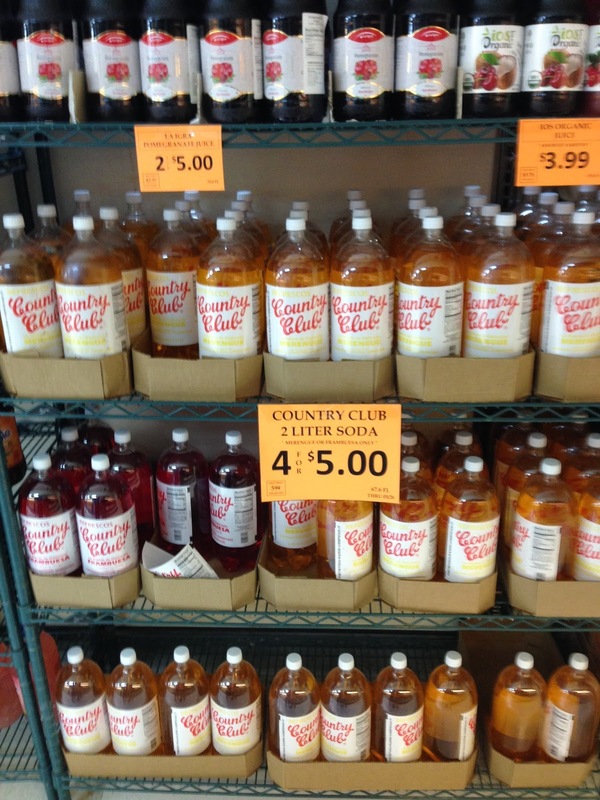 This part of the store still looks exactly like it did in these pictures. 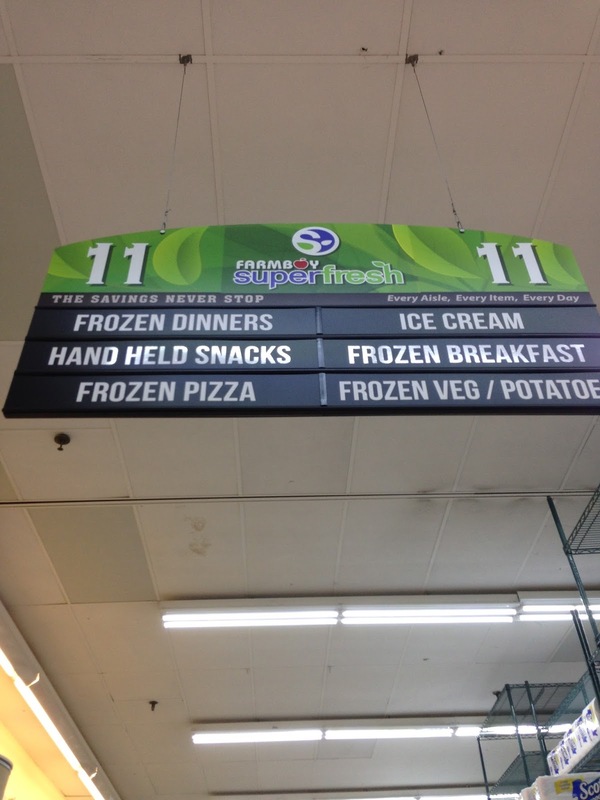 There are 11 aisles in total, with frozen foods being in the last and continuing into an alcove in the front corner. I have to say, this aisle was not nearly as cramped as it looks here. The freezer cases are likely left from A&P. The alcove in the front corner, apparently, is dedicated to ice cream. Notice the random eggs in the refrigerator case! Remember, the dairy department is along the BACK wall, and the wall you see to the right above is the FRONT wall! Just past the freezer alcove we see what likely used to be the customer service counter. 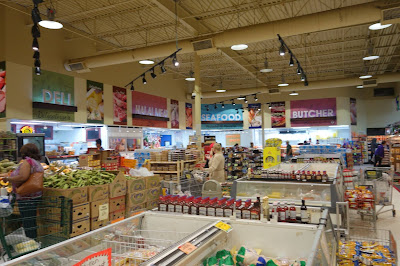 I think that both Fine Fare Belleville and GalaFresh Passaic had the same, also closed-off, area, which makes me think it was a Food Basics thing when they moved the customer service counter. I think because of this store's layout, I was able to get some decent front-end pictures for once! Also our cashier was really friendly, so big points for that. You get the feeling that the store is almost about to overflow with merchandise! 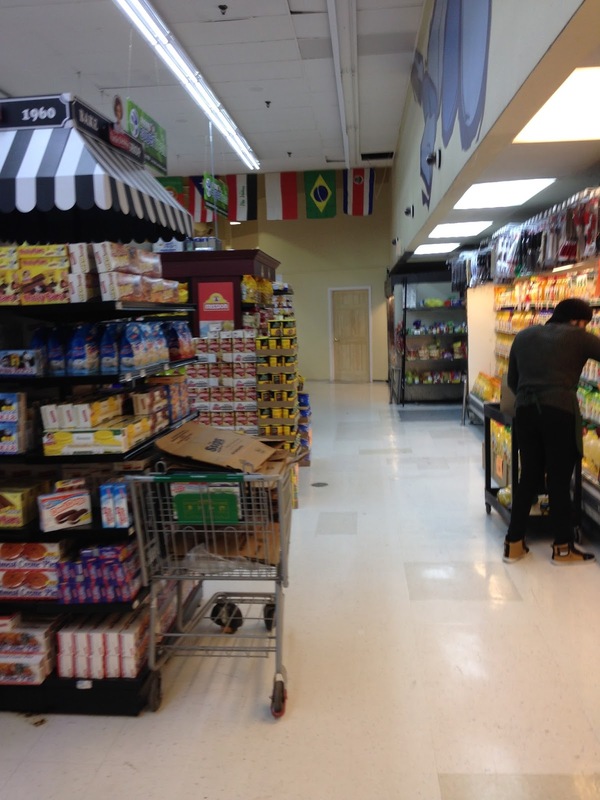 The extra-wide deals and ethnic aisle, from the front. The new customer service counter is located along the front wall of the store, past the registers. A cart full of returned or rejected merchandise along the front end shows us that the entire fleet of carts at the store is Food Basics holdovers, with no attempt at removal of the name. 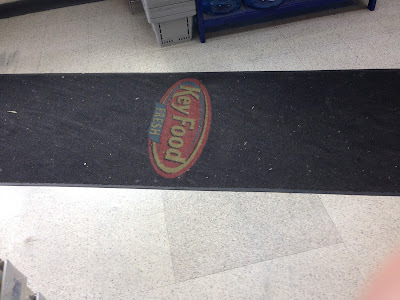 But there is a Key Food rug at the exit! Again, some surprisingly decent pictures of the front end! A close-up of the storefront. The store had its official ribbon cutting on June 3, 2016. I visited on May 15, 2016. 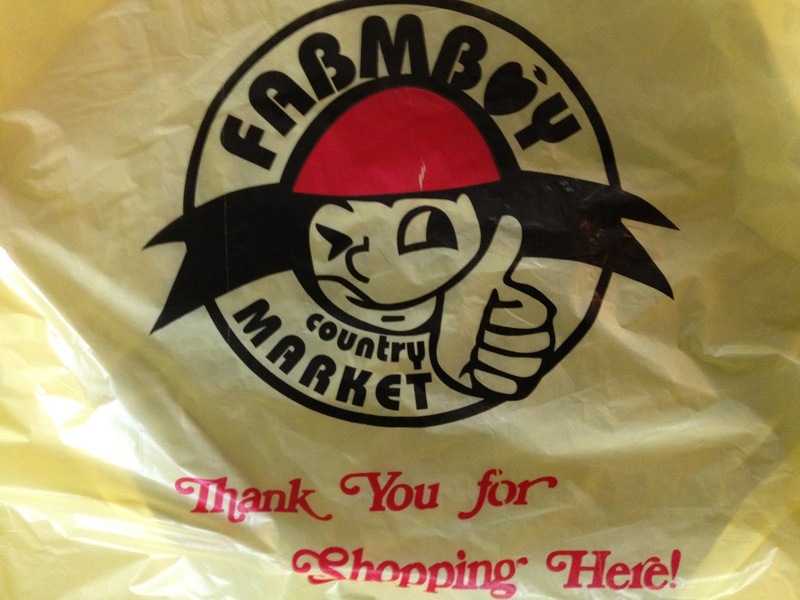 Aside from the stupid name, Farmboy is actually a great store. 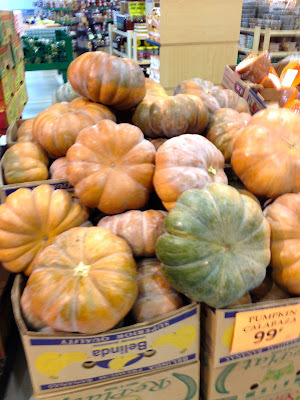 The produce was particularly good, and the international selections can't be beat in the immediate neighborhood.